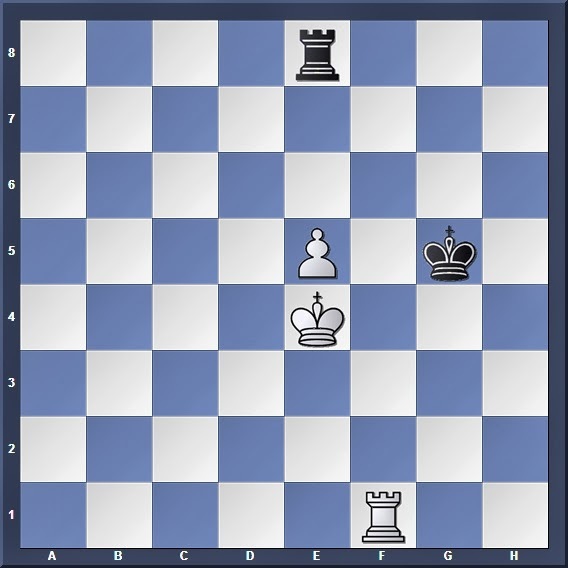 Yesterday we looked at the challenge I issued on Friday (Rook + 5th rank pawn vs Rook) and the methods which both sides use to force a win or a draw. 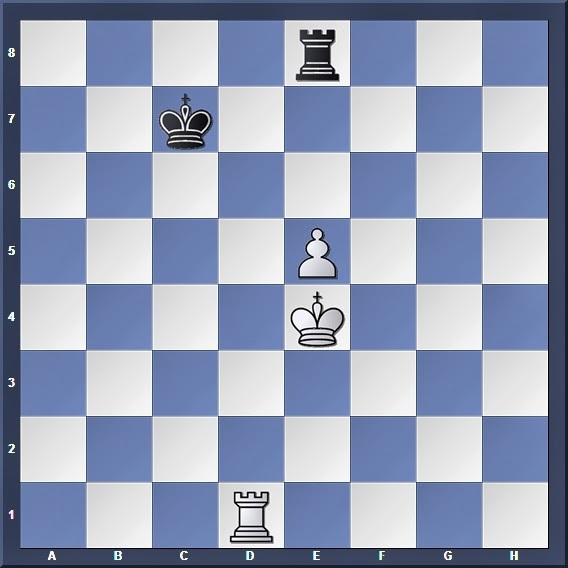 White to move, can he win? White wants to prevent Black's king from getting in front of his pawn, by using his rook to cut the enemy king away from the battle. This makes it easier for him to create a Lucena Position, which will win for White. 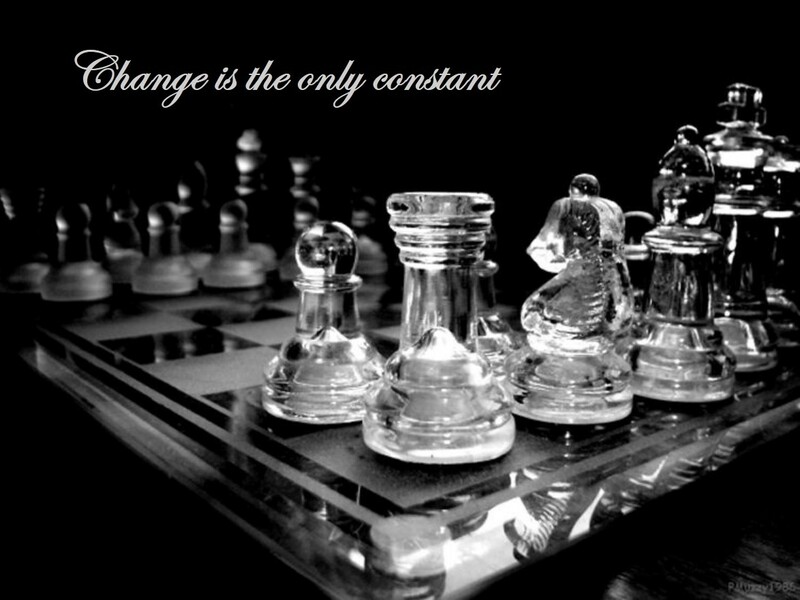 Though it may seem tedious to calculate all the variations, there is fortunately for us a simple guideline when it comes to combating a pawn on the 5th rank: The stronger side wins only if the weaker side's king is cut off by one or more files on the long side of the board, or two or more files on the short side of the board. This guideline is mostly true for central, bishop and knight pawns on the 5th rank (save a few exceptions we will look at later); as usual, rook pawns form exceptions and we'll discuss them in the last part of this article. The long side of the board (the yellow squares in the diagram above, from the a to d-files) is the side of the board with the greater number of squares between the pawn and the side of the board. Conversely, the short side of the board (green squares, f to h-files) is the side with the smaller number of squares. 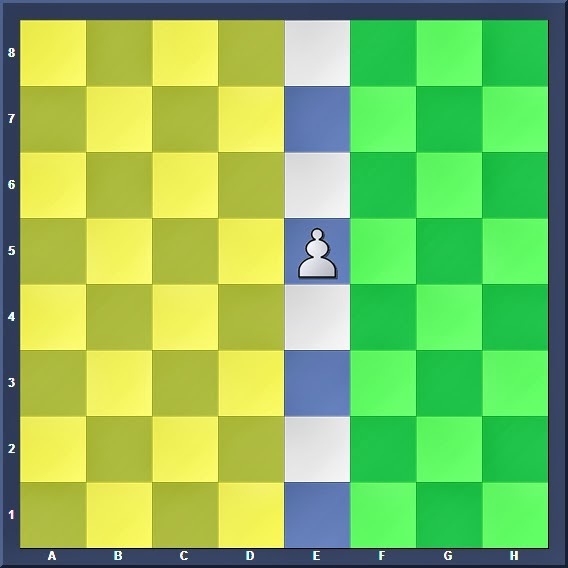 So if the pawn were on f5 rather than e5, the long side of the board will be the a to e-files, while the short side will be the g and h-files. 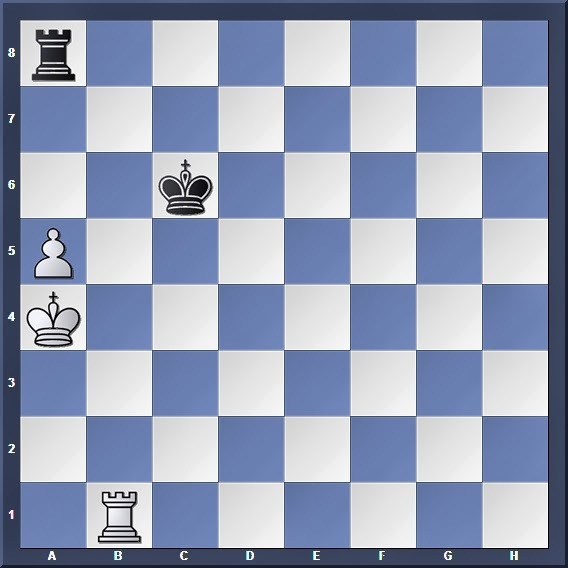 In such positions where the weaker side's king has been cut off by the enemy pawn, he should strive to place the king on the short side of the board; the reason being that his rook wants to rain checks upon the enemy king from the longer side of the board (remember that rooks are strongest when far away from the opponent's king!) and of course the king should not get into the way. And now it should be quite clear that White can win, because Black's king is cut off on the long side of the board. Thus Black cannot use the rook-checking trick to force a draw, because his king gets in the way and the short side of the board is-- well, as its name suggests-- too short for the rook to check safely. If Black tries to check on the short side of the board with 1... Rh8, then after 2. e6 Rh5+ 3. Kg6 Black can no longer check safely, and soon falls to 3... Rh2 4. e7 Rg2+ 5. Kf7 Rf2+ 6. Ke8 with a Lucena Position in White's favour. The variation 7... Rh2 8. e7 Rh8+ 9. Kf7 Rh7+ 10. Kf6 Rh6+ 11. Kg7 also loses for Black. Hopefully by now you are familiar with how the Black rook's checking ability is crippled when on the short side of the board. Reaching a Lucena Position, with a win for White. So that looked simple enough. But now let's see how even the smallest change to the initial position can make things very different! Can White still win here? Black's king still appears to be cut off by the enemy rook, but in fact he is not because Black has a special move at his disposal: Rd8, where after trading rooks Black's king forces its way to the front of the pawn! In such a position the outcome of the game is decided by not whether a Lucena/Philidor Position can be reached (because the rooks have already been traded!) but rather which side has the opposition. I leave the remainder of the analysis as a very simple challenge to y'all: Can White win if he has the move, and will the outcome be different if Black had the move instead? Draw regardless of who to move! And now Black threatens a barrage of checks from the long side of the board. This time, unlike our first example, White cannot run away from the checks! Attempting to force the king away with 1. Rg1+ leads to 1... Kf7, allowing the Black king to get in front of the pawn and paving the way for a draw. Notice that if the Black king were on g5 rather than g6, then 1. Rg1 will have very different results altogether... which we will see later on. Lets concentrate on the current position first. Piling up upon the e6 pawn and winning it, thus simplifying to a rook vs rook draw. And now Black's king cannot step in front of the pawn because the White pawn covers the f5 square. Creating a winning Lucena-like Position for White. Note that it isn't exactly a Lucena Position because White's king is on h5 and prevents 10. Rg4, but after 10. Rf1 Kg5 11. Kf7 Black can no longer check safely and the pawn is free to promote. 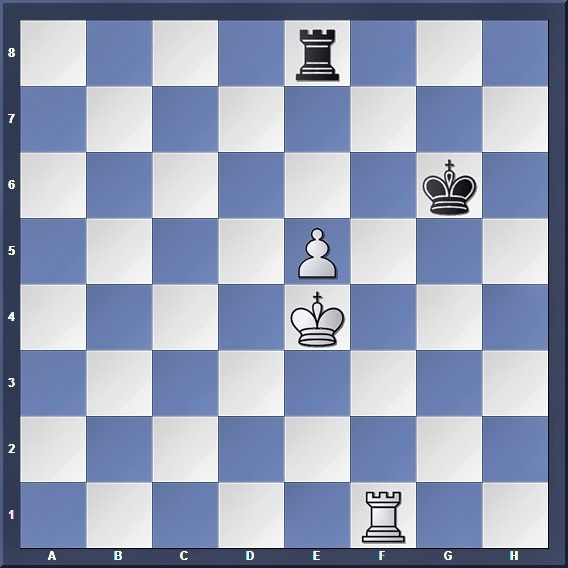 As I have stated earlier rook pawns always form special exceptions to general endgame rules, and so we'll see how different they are in this position. No win for White over here! A quick look at the position should be enough to tell that this is a dead draw: With the pawn huddled in a corner White can never hope to step forward to support the pawn. Both 1. Rc1+ and 1. Kb4 (attempting to step out to help the pawn) fail to 1... Kb7 where Black's king gets in front of the pawn with a draw. And with rook pawns, there is no other side (no short side this time!) for the White king to step onto. The weaker side's king is cut off by at least two files along the short side of the board. If the weaker side's king is too close, then the stronger king is forced to step onto the long side of the board and expose himself to enemy rook checks. 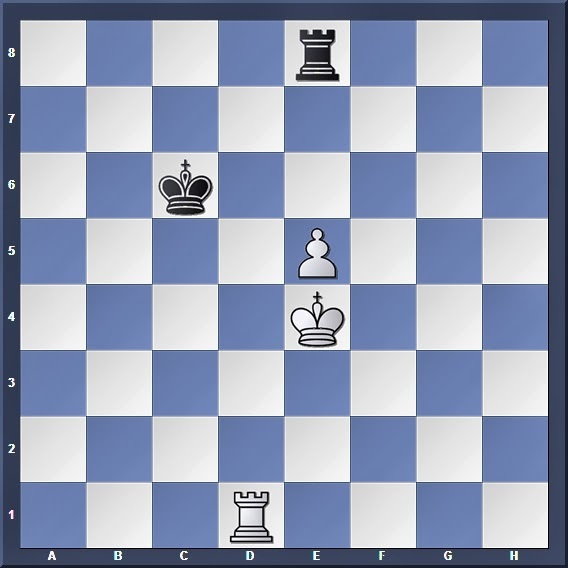 If the weaker side can get his king in front of the stronger side's pawn, then his chances of drawing becomes much higher. This can be summed up into the simple guide which holds true for most cases: A win is more likely with the weaker king on the long side, while a draw is more likely on the short side (or with the weaker king in front of the pawn). Of course, we must note down the important exceptions to this rule, as we have investigated in the examples earlier. Steady on, my brothers. The journey will get even tougher as we progress deeper into the mysteries of rook endgames. 2nd Lunar New Year Challenge!